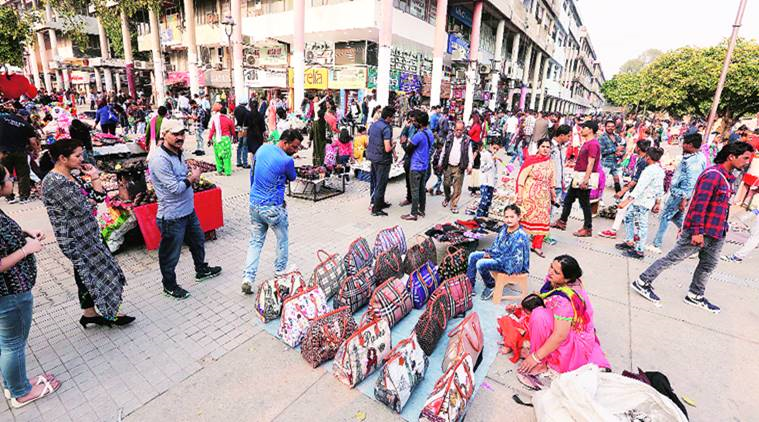 The Plaza of the 'City Beautiful' Chandigarh may have been its star attraction for a number of decades but has now virtually been hijacked by street vendors. 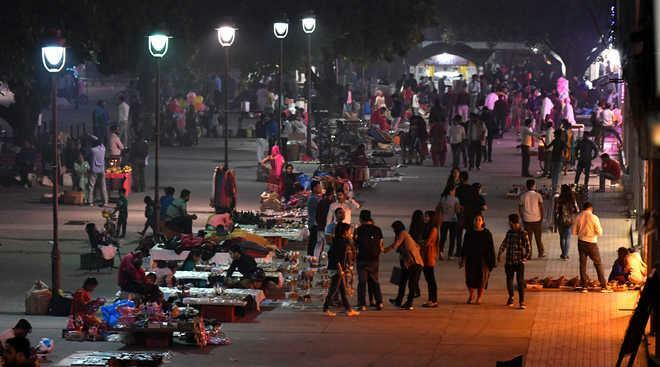 The large open space of the Plaza, which was a delight for walkers and shoppers in the commercial hub of Chandigarh, is now occupied by the vendors who squat there, especially during the evening hours. The vendors, called "phari-walas", sell cheap stuff ranging from toys and stuffed items to posters and other household wares and even clothes. Despite the authorities declaring the Sector 17 Plaza as a "No Vending Zone", the rules are being violated with impunity and concerned officials continue to look the other way. The Business Promotion Council of Sector 17 met with the Chandigarh Mayor Devesh Moudgil and Union Territory Administrator V.P. Singh Badnore to highlight the menace of the vendors and other problems being faced by the Sector 17 traders and the people coming to the market for shopping. "Something needs to be done with respect to the phari-walas who have occupied and encroached every available space, including the fountain area and the Plaza which is a major tourist attraction. The sector has already been declared a No Vending Zone, and most of the visitors also question their presence," Neeraj Bajaj, president of the Business Promotion Council of Sector 17, said. Officials in the local municipal corporation admit that attempts to remove and re-locate the vendors from the plaza have not been effective so far. "Things have really gone from bad to worse in Sector 17. The street vendors have changed the character of the place. This place was always so unique for Chandigarh. It is shameful that the authorities are more concerned about maintaining the areas and houses where VIPs live while the biggest commercial hub of the city has been allowed to become a mess," Jatinder Sharma, a businessman and regular visitor to Sector 17, told IANS. 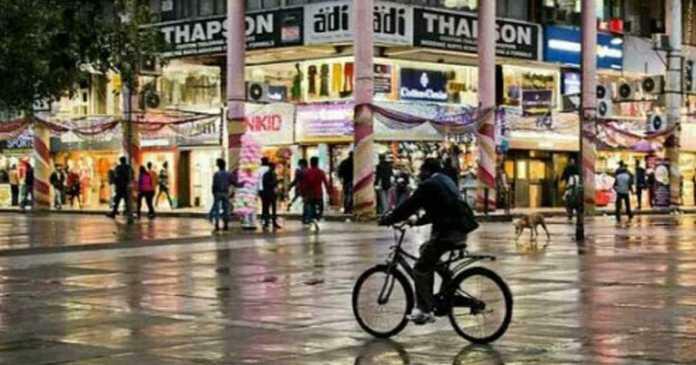 In recent years, the Sector 17 shopping area has lost substantial clientele to a couple of malls that have opened in the city. Besides the hundreds of shops, including top international and national brands, Sector 17 is home to scores of government and private offices where thousands of employees come every day. The sector badly needs rejuvenation but who will bell the cat?